It’s been only few weeks when WhatsApp started rolling out its messaging app’s calling feature for Android users and not for iOS or Windows. Luckily, the same feature has started coming out to iOS users. The latest version of the app is now available on the Apple App store for download with Voice calling feature. Whatsapp’s calling feature allows people to call other Whatsapp user, having Voice call feature enabled, using the internet (could be Wi-Fi or 2G/3G/4G). This way the user’s cellular data is used instead of the phone network’s calling charges. 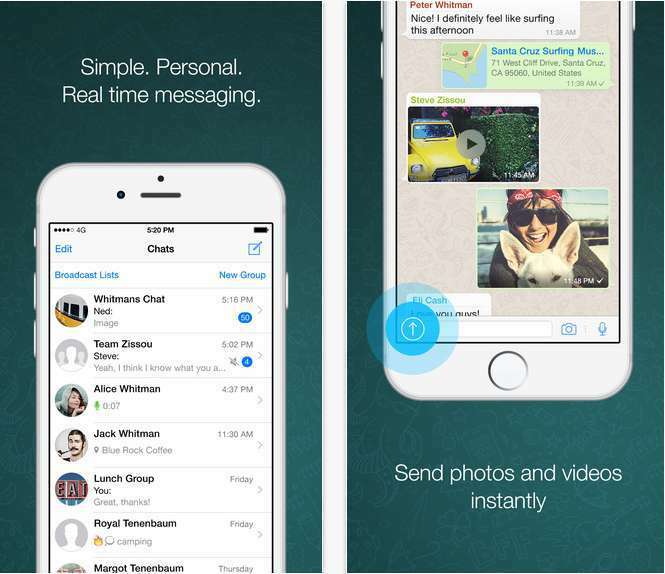 WhatsApp Calling is now being rolled out for iOS users. Note : Expect to receive the rollout in several phases. With this feature available, users can call friends and family using WhatsApp for free, even if they’re in another country. WhatsApp calls use your phone’s Internet connection rather than your cellular plan’s voice minutes. Data charges may apply. Note: WhatsApp Calling is rolling out slowly over the next several weeks.” says WhatsApp in iTunes. WinBeta reported about a possible WhatsApp tie into Skype. A reference to some code in the WhatsApp voice calling update referenced, “Call via Skype.” There hasn’t been any confirmation on this feature just yet, but it is possible WhatsApp could also tie into a built-in Skype experience. Apart from voice calling feature which has already rolled out for Android, now iOS and soon will be rolled out for Windows Phone users, WhatsApp is also expected to bring video calling feature as a free service. Subscribe us for more such updates on How to Guides, Android, iOS, Windows, Mac and Linux. Connect with us to stay updated for more by subscribing to our Newsletter or on Facebook, Google+, and Twitter.